Forget What Did: Ho Ho… No, No, God No! What about the poor old gingerbread man, having his feet thrust into Rudolph's sliced-in-half brain? It's the red syrup that REALLY makes it festive, don't you think? Perhaps the person responsible for this has been watching too much of the Headless Horseman, or maybe Texas Chainsaw Massacre. Santa probably didn't allow them to replicate his image. He even said no to a head fashioned from stiffly-whipped cream. Perhaps it's a hidden stand against the over-commercialisation of Christmas. I hear that the police have called in Terry from the Fire Crew to be questioned. Anyhow, yay for badverts - I really, really missed these kind of posts. If you think Costa is bad, look at Starbucks. Every year my father gets ridiculously excited about the arrival of the Red Cups. It's almost Arthurian. 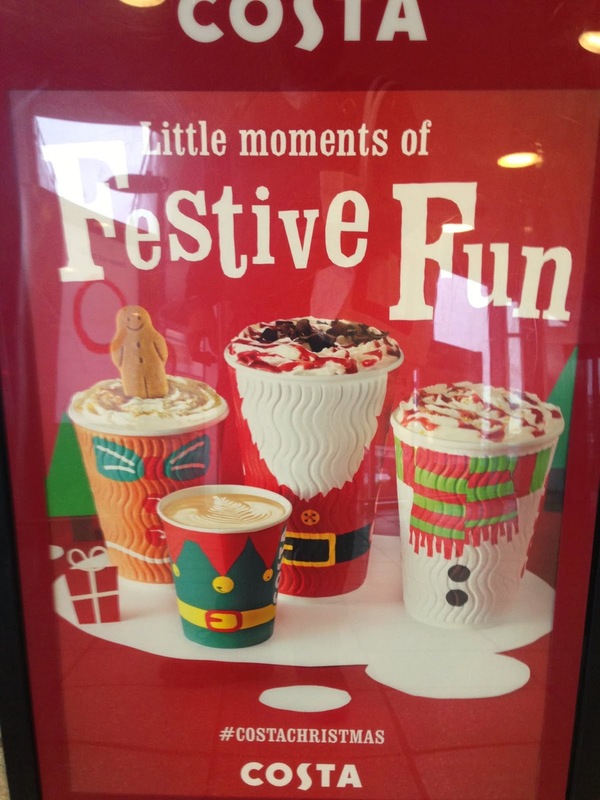 Then, on the 27th of December, or thereabouts, the Red Cups go into hibernation for another year, and it breaks his heart. Very poor treatment of customers. Uncharacteristic from an otherwise quite over-enthusiastic marketing department, who labelled the Pumpkin Spice Latte- an odd juxtaposition of words if ever I saw one- with the slogan 'Passion. Devotion. Obsession.' I mean, please. It's a coffee. And anyway, it tastes awful. Man, I'm never going to see Christmas, or Costa, in the same light again... Although what coffee and cannibalism has in common I have absolutely no blinking idea! It's a ploy by the Coca Cola company. They want a new, hipper Santa, so they've partnered with Costa coffee in order to eliminate the Santa we all know, and to an extent, love. Don't forget the nameless elf and Frosty there (Gingerbread man doesn't count, he's a cookie. :P). Poor little elf, he just wanted to make toys *coughbuthereallywantedtobeadentistcough* :) . . . Though, I s'pose if Frosty wasn't wearing his magical hat, it wouldn't have mattered much when he was decapitated, yes? Hmm. . .
That and the decapitated snowman too! it is really a pleasure to have you back in such intense frequency. Don't spoil us! I have been meaning to ask this for a long time - what happened to Pete Seeger's hammer (JFSP, last recording)? As for the rest, I am as everyone else, constantly checking the BBC website for Cabin Pressure tickets. I am also very happy that the recording will only take place next year...as I could not bear (!) my luck to attend more than one John Finnemore-event per year. Anyway thank you for being back. Hooray! This is terrible. Hell, I live in Southern California and I still haven't seen anything that bad. You were great on Clue - hope they ask you back! I am worried about how traumatised Arthur is going to be by this. Oh, good Lord. Are they all decapitated? If you want a good one, go to the actual cafe. The petrol station vending machines just put powdered milk in, with chocolate dusting. Deck the halls with Martin's brolly! I think I cracked a rib laughing. 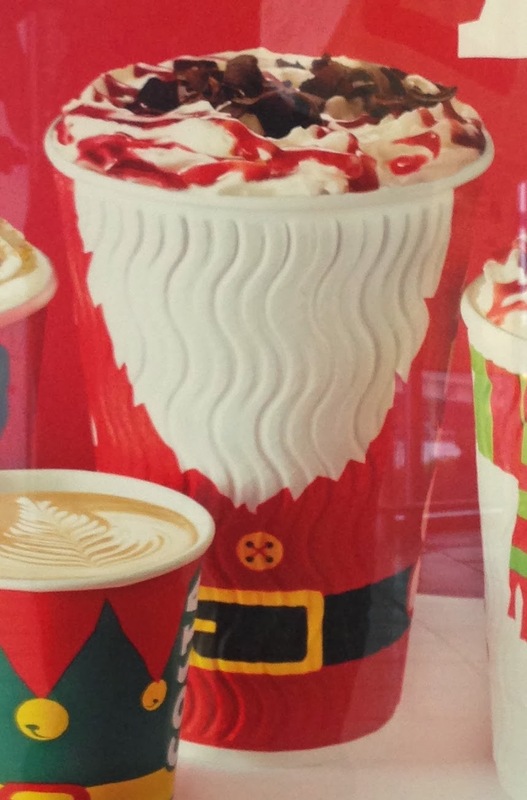 The strange part is I probably wouldn't have noticed Santa's gruesome injury (ok, remains) until you pointed it out. Oh dear. Also looks like there's a decapitated gingerbread man with an entire, small, other gingerbread man as a hurried replacement for a head. Urg. Once, someone misheard 'most highly favoured lady' in the carol Gabriel's Message as 'most highly flavoured gravy'... Another one for Arthur? We wish you a plane of otters, We wish you a plane of otters, We wish you a plane of otters And a nappy-filled ear!